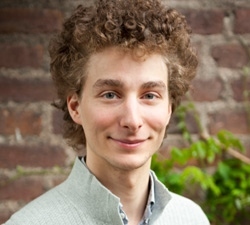 Jean-Baptiste Jouffray is a joint PhD candidate of the Global Economic Dynamics and Biosphere programme (GEDB) at the Royal Swedish Academy of Sciences and Stockholm Resilience Centre, Stockholm University. He has a background in natural science with an undergraduate degree in Biology of Organisms, Populations and Ecosystems from University Paul-Sabatier (France) and an MSc in Ecology from Stockholm University. Jean-Baptiste first joined GEDB as a research assistant for one year, during which time he widened his expertise to also encompass socio-economic aspects into his work. As a PhD-candidate in Sustainability Science, his primary interest lies in exploring the intertwined relationship between humans and marine ecosystems, with the ambition to provide empirical novel approaches and analytical methods of general value for understanding social-ecological system dynamics around the world. His research encompasses multiple scales and systems, ranging from the Hawaiian archipelago and indicators for effective coral management, to the seafood industry at a global scale and the role of transnational corporations.